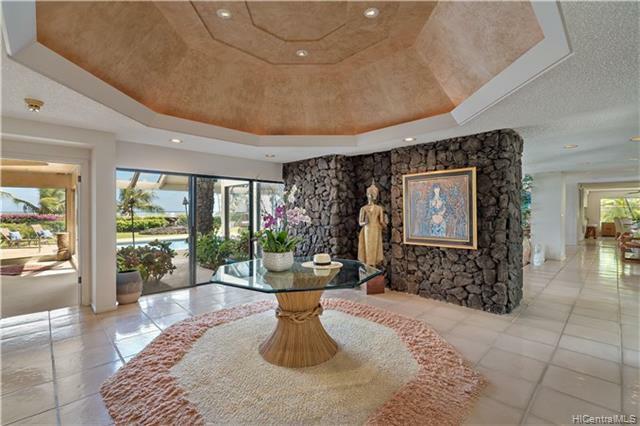 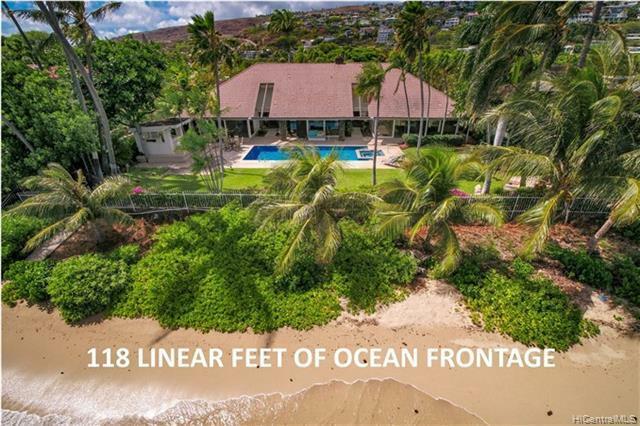 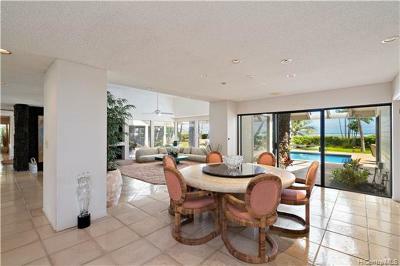 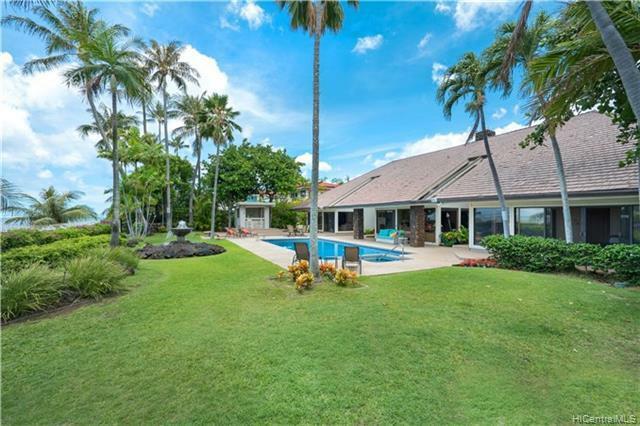 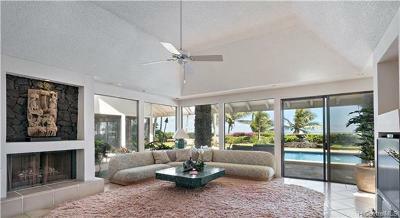 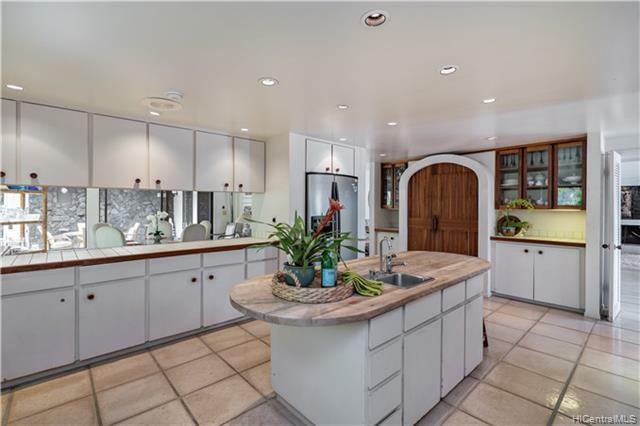 BEACHFRONT ESTATE WITH 2 HOMES SPANS 118 LINEAR FEET OF OCEAN FRONTAGE AND OFFERS WIDE SWEEPING OCEAN VIEWS TO KOKO HEAD. 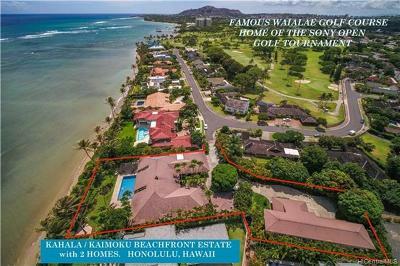 TROPHY PROPERTY of nearly 1 acre of land consisting of 2 parcels. 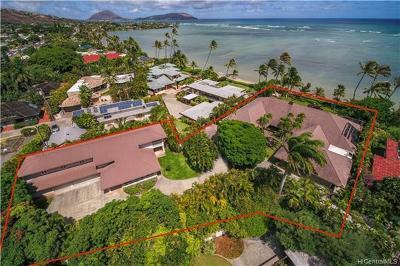 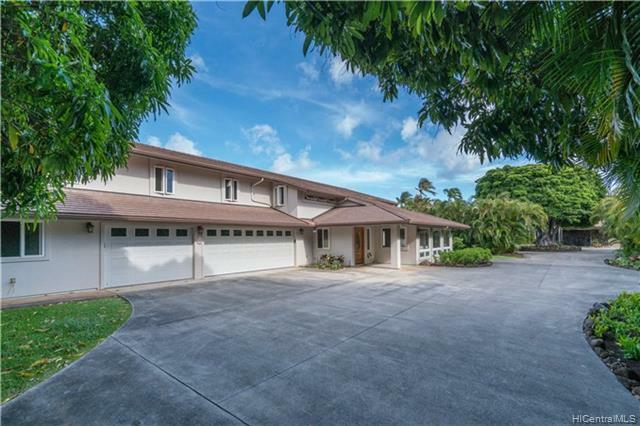 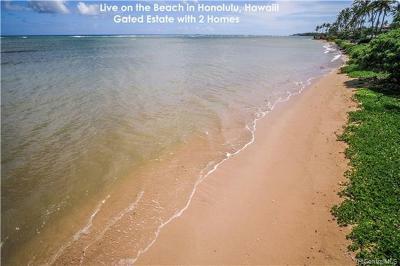 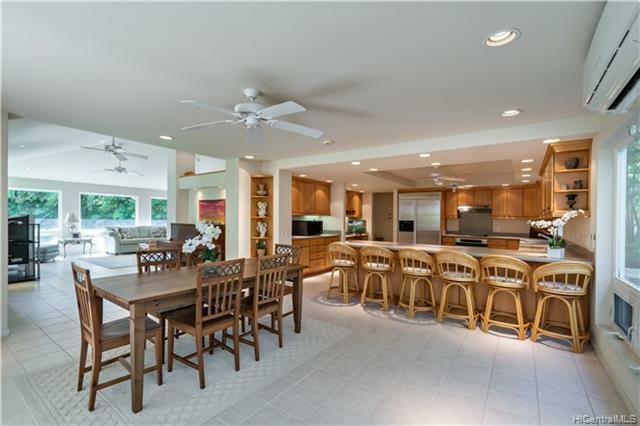 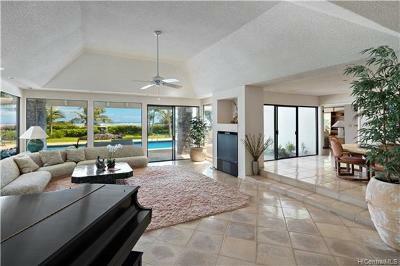 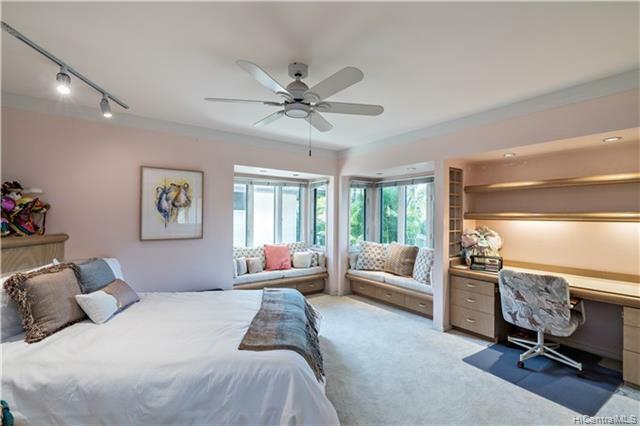 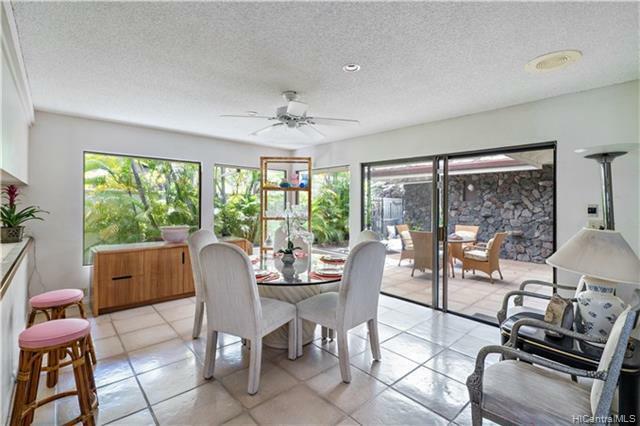 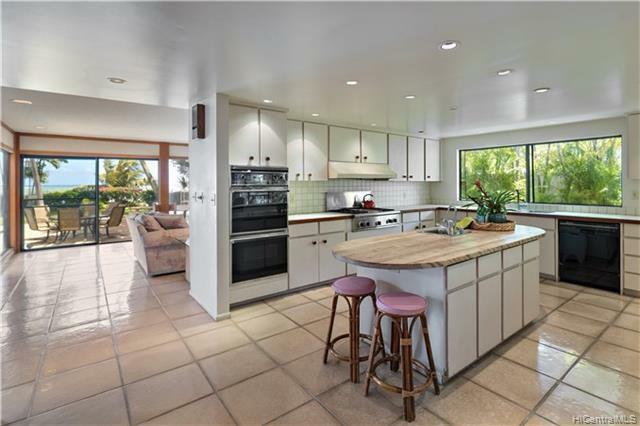 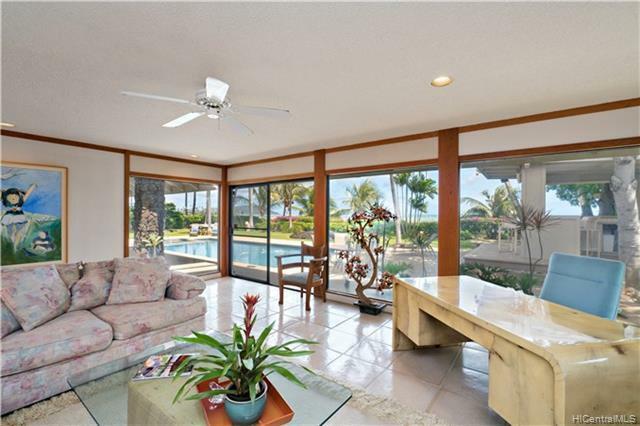 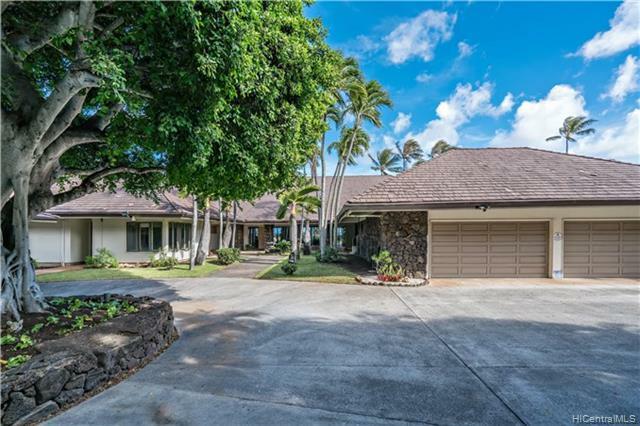 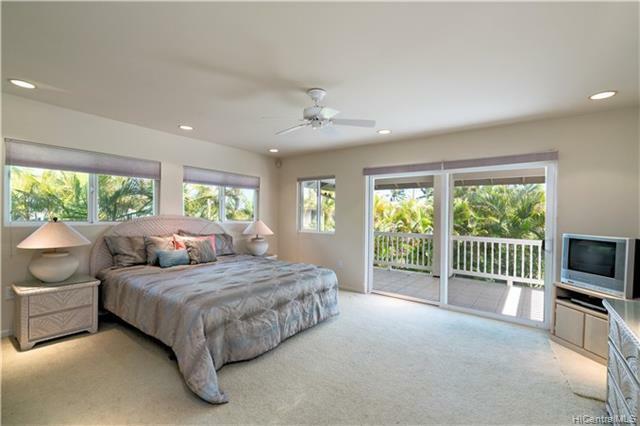 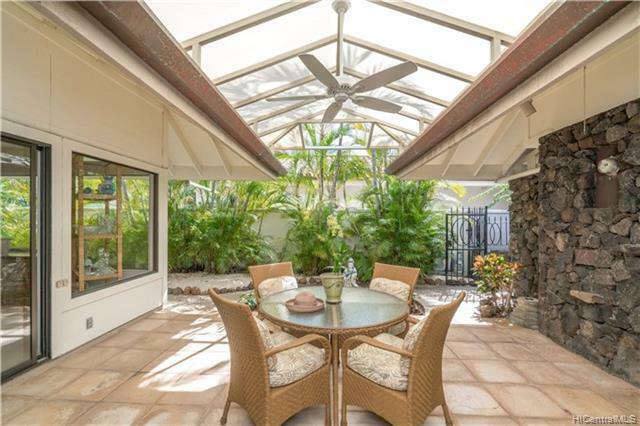 Very private and serene setting located on prestigious Kaimoku Place, a one block street of only 10 oceanfront homes near Waialae Golf Course. 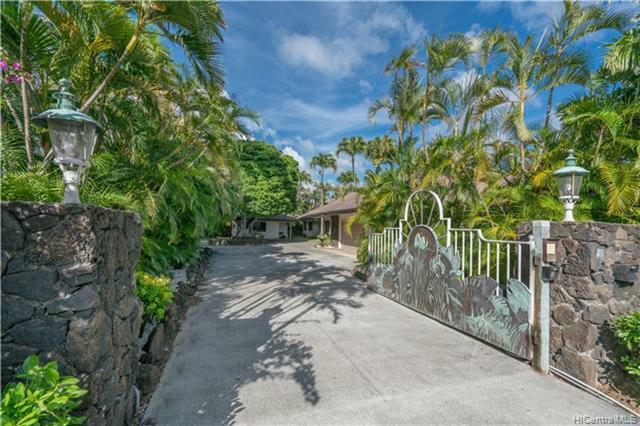 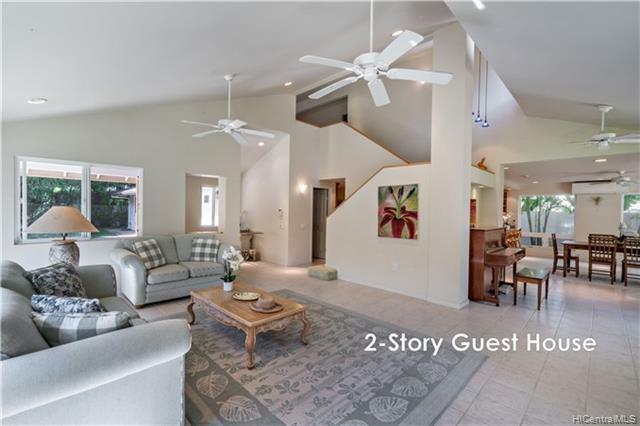 Gated entrance into the Estate leads to an enclave with an Oceanfront single level home of 5 bedrooms + pool, a caretakerâs 1 BR cottage, and 4 BR two-story Guest House (built in 2000). 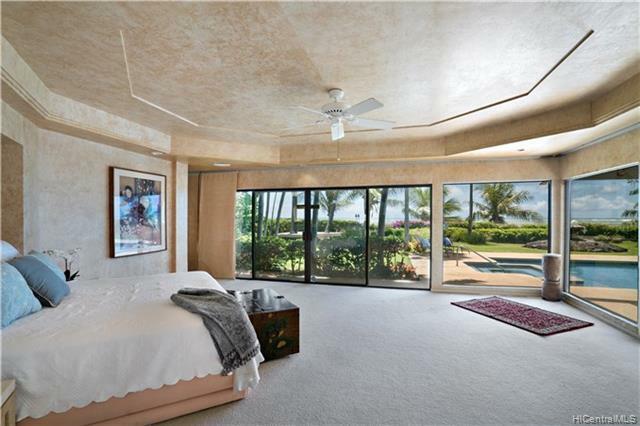 Refresh this luxury beachfront Estate and enjoy Honoluluâs tropical lifestyle in this HIGHLY DESIRED & RARELY AVAILABLE LOCATION. 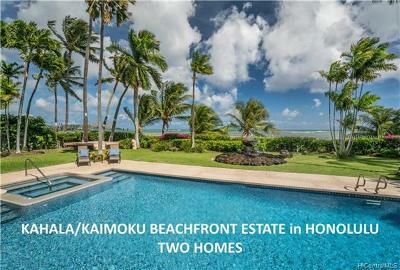 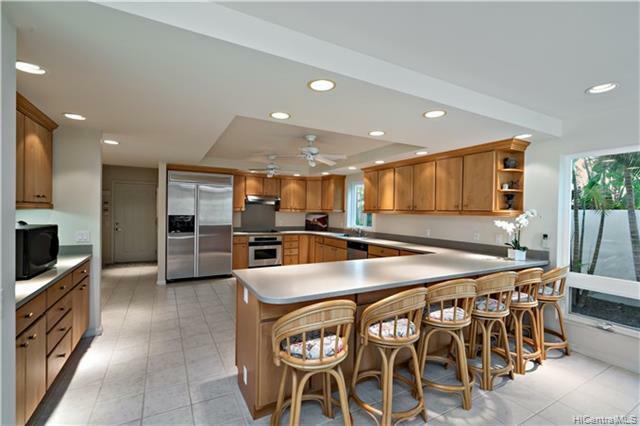 Near Kahala Mall shops, restaurants & Whole Foods Market.